It finally arrived!!! How very exciting!! Remember when I showed you behind-the-scenes shots from a photo shoot I did with the kiddies? Well, here is the final product! 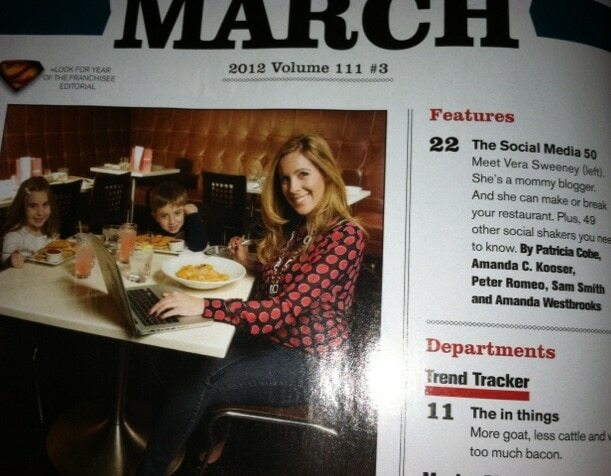 Restaurant Magazine named me one of their Top 50 To Follow in Social Media. Meet Vera Sweeney. She’s a mommy blogger. And she can make or break your restaurant. Seriously, I can’t get over this. 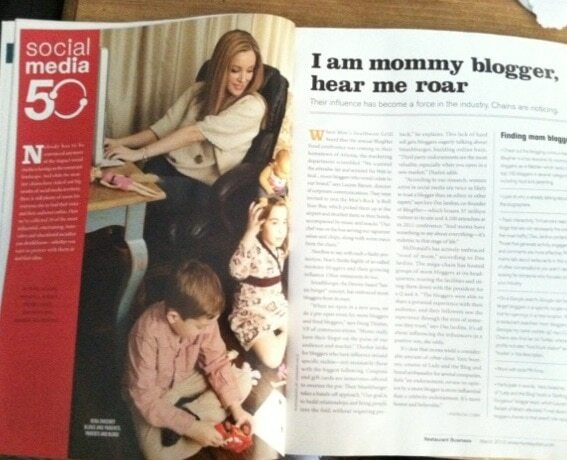 Here is the feature article and there are my two little babies playing by my feet. I just love that I get to do things like this with them. 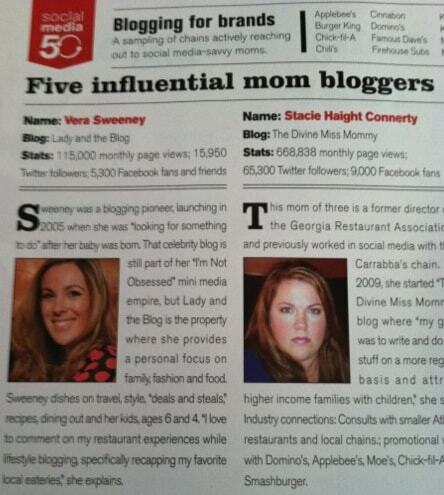 And I have to give a special virtual hug to Stacie Connerty!! I LOVE that she is included in this list as well!!!! What a treat. I’m not sure that you will be able to find this magazine at your local bookstore. It’s my understanding that Restaurant Business is an industry magazine. I am so excited and HONORED to be included in their social media article. Thanks for posting. I had not seen this yet. And congrats too!! Congrats! What a nice spread! Love it! Make or break your restaurant. hahaha.